Fort Collins, CO - Odell Brewing is adding a new brand to their year-round line up, Mountain Standard IPA. At 6.5%, this Mountain Style IPA is brewed with innovative American hop varieties like Cashmere, Sabro, and Strata which bring tropical hop aromas of pineapple, orange, and mango. To accentuate juicy hop aromas without using adjuncts or fruit, Mountain Standard IPA is triple dry-hopped. The result is an extremely drinkable IPA bursting with bright hop flavors, low bitterness, and a slight haze. Odell Brewing released their first IPA in 2007, which won Gold at GABF and World Beer Cup. Since its release, Odell IPA has remained the #1 selling IPA in Colorado. Some loyal Odell fans may recognize the Mountain Standard name, as it previously belonged to a seasonal Black IPA available October through December. 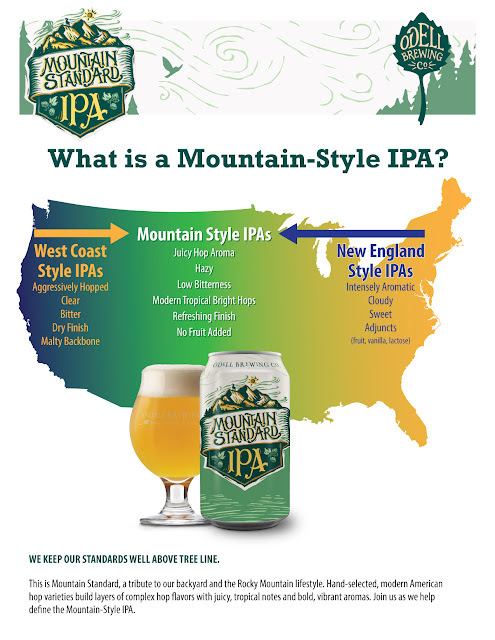 Mountain Standard IPA will be priced inline with core brands and available on draft and in 6-pack cans. 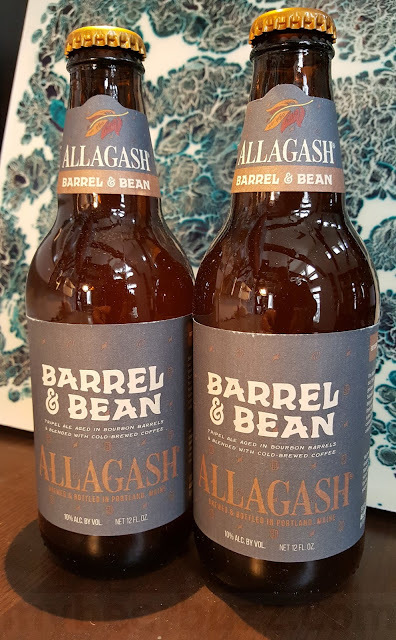 The beer will be available beginning February 25th across Odell’s 19 state footprint. For more info please visit www.odellbrewing.com. About Odell Brewing - Odell Brewing, the 22nd largest craft brewery in the U.S., is a regional, independent, and employee owned craft brewery. Since 1989, the culture of family and collaboration has thrived, fostering a brewery full of beer-centric people. It is this passion for beer that inspires Odell Brewing to create quality, hand-crafted and innovative brews. Odell Brewing is committed to providing exceptional service to its customers while making positive contributions to their co-workers and community through its outreach and charitable giving programs.